The Survey of India is India's central engineering agency in charge of mapping and surveying. Set up in 1767 to help consolidate the territories of the British East India Company, it is one of the oldest. Applicants who have completed 10th Passed and should have knowledge of Hindi and English and Possess a valid driving license for both heavy and light vehicle or equivalent from a recognized Institute for Survey of India Recruitment 2018. 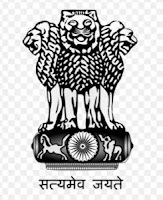 Eligible & Interested Applicants can download the Notification & Application form on the Official website page at www.surveyofindia.gov.in Survey of India Recruitment 2018. There is a different post of addresses so applicants use the Survey of India Official Notification 2018 for your particular posts.